This 3 bedroom 2 and a half bath condominium is tastefully decorated and has a nice deck to sit out and BBQ in the summer. 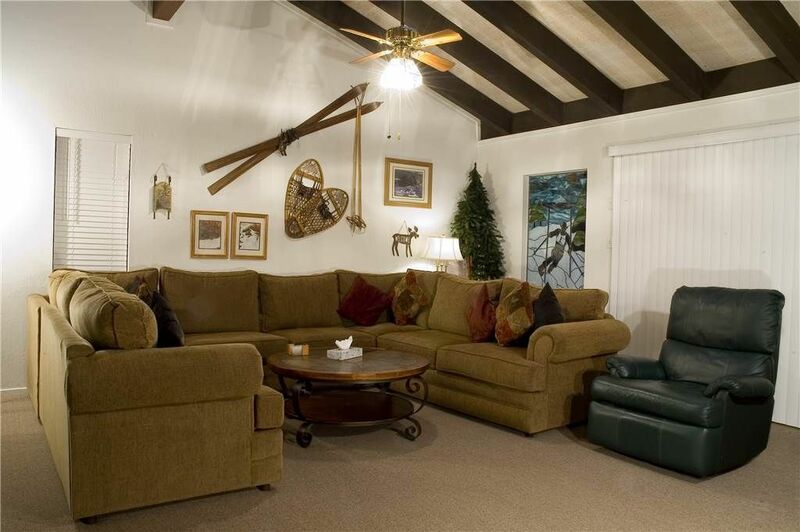 Its a good choice for a ski group or a family in the summer. There are 2 swimming pools in the complex and its only a short drive to the beach. Diamond Peak Ski Resort is only a few blocks away and the shuttle bus runs right by the complex. The seventh night is free for most dates so be sure to ask!